AUSTIN – A Texas law aimed at restricting abortions, which took effect in 2013, has led to more women trying to end a pregnancy on their own, while the number of clinical procedures in the state has declined, according to a study released on Tuesday. The study showed that poor women bear the brunt of the law. “Poverty, limited resources, and local facility closures limited women’s ability to obtain abortion care in a clinic setting and were key factors in deciding to attempt abortion self-induction,” the Texas Policy Evaluation Project found. The study estimated that between 100,000 and 240,000 women aged 18 to 49 in Texas have tried to self-induce abortion since the law went into effect, using such methods as herbs, teas and medications obtained in Mexico without prescription. Researchers from the University of Texas Population Research Center, Ibis Reproductive Health, the University of Alabama-Birmingham, and the University of California at San Francisco conducted the study. 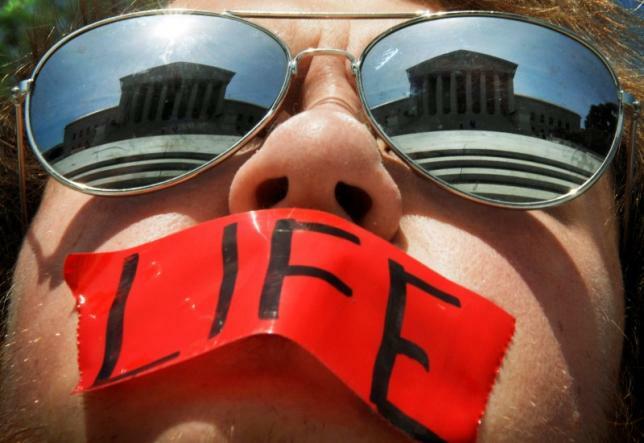 The U.S. Supreme Court agreed this month to hear a challenge by abortion providers to portions of the Republican-backed law that they contend are aimed at shutting clinics that offer the procedure. “This important new research paints an alarming picture of what the future may be like for women across the country if the Supreme Court does not block this cruel law,” Cecile Richards, president of Planned Parenthood Federation of America, said in a statement on Tuesday. Amy Hagstrom Miller, chief executive of Whole Woman’s Health, the lead plaintiff in the challenge that was accepted by the Supreme Court, said in a statement on Tuesday, “By forcing clinics to close, Texas legislators have multiplied the barriers women face when they need an abortion. When the Supreme Court made its announcement on November 13, Texas Attorney General Ken Paxton said, “The common-sense measures Texas has put in place elevate the standard of care and protect the health of Texas women. The state has wide discretion to pass laws ensuring Texas women are not subject to substandard conditions at abortion facilities. Paxton’s office was not available to comment on the study. One provision of the law requires doctors performing abortions to have admitting privileges at a hospital within 30 miles (48 km) of a clinic. Proponents have said this protects women by providing continuity of care but abortion providers and medical experts have said it has almost no public health value. The number of abortions in Texas declined by 13 percent in the six months after the main sections of the law took effect compared with the same period a year earlier, the study showed. It found that wait time to schedule an abortion was now about three weeks, putting abortions out of reach for some women, while clinic closures have put constraints on women who may not have resources to travel hundreds of miles to a clinic.